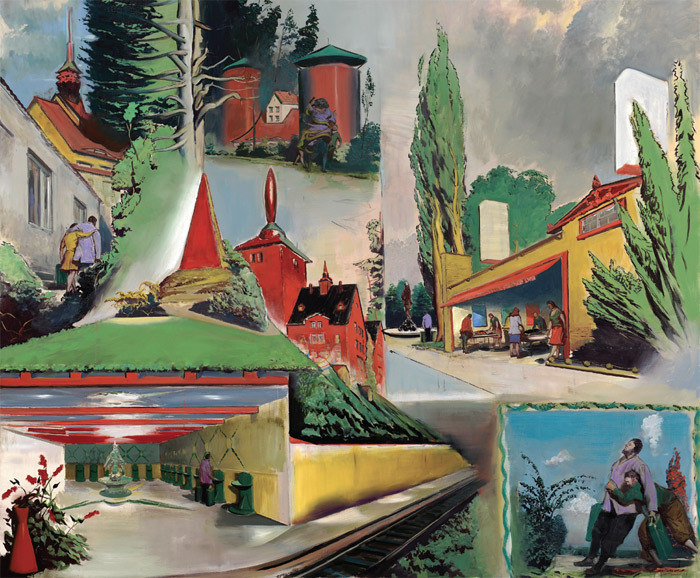 Neo Rauch, Heilstätten (Sanatoriums), 2011, oil on canvas, 98 1/2 x 118 1/4". View of “Andrea Bowers,” 2011. Collaged posters: The New Woman’s Survival Guide, 2011. 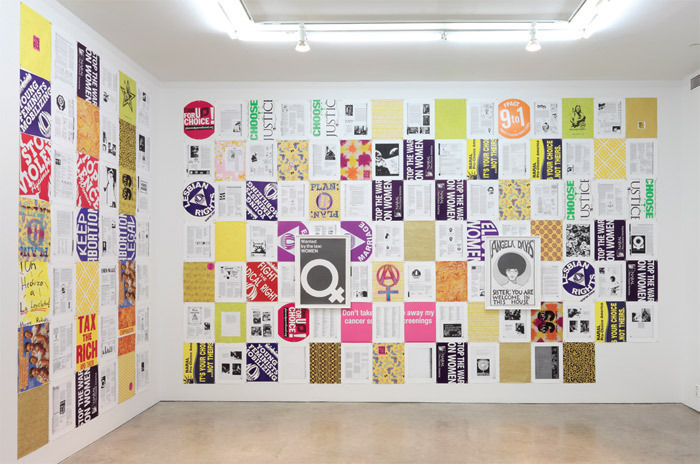 Framed, from left: Wanted By the Law, 2011; Angela DavisYou Are Welcome in This House (In Honor of Julian Madyun), 2011. Nan Goldin, Sisters, 2010, diptych, color photograph, overall 24 x 59". 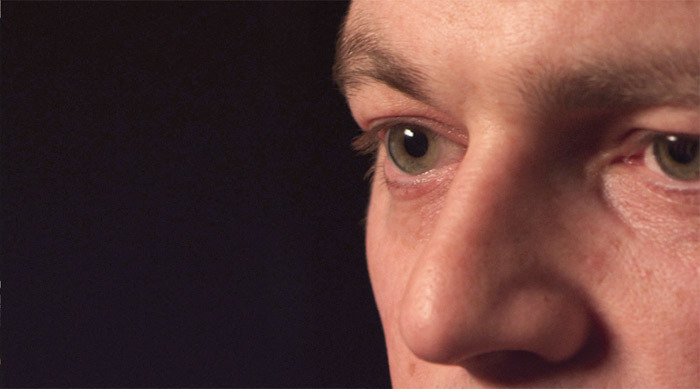 Karl Haendel and Petter Ringbom, Questions for My Father, 2011, still from a color video in HD, 11 minutes 17 seconds. 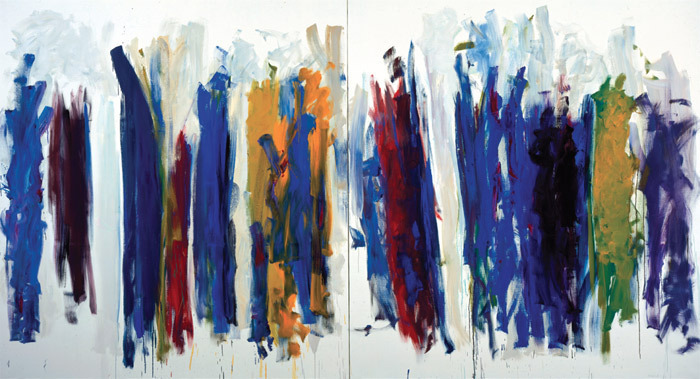 Joan Mitchell, Trees, 1990–91, diptych, oil on canvas, overall 7' 2 3/4“ x 13' 1 1/2”. 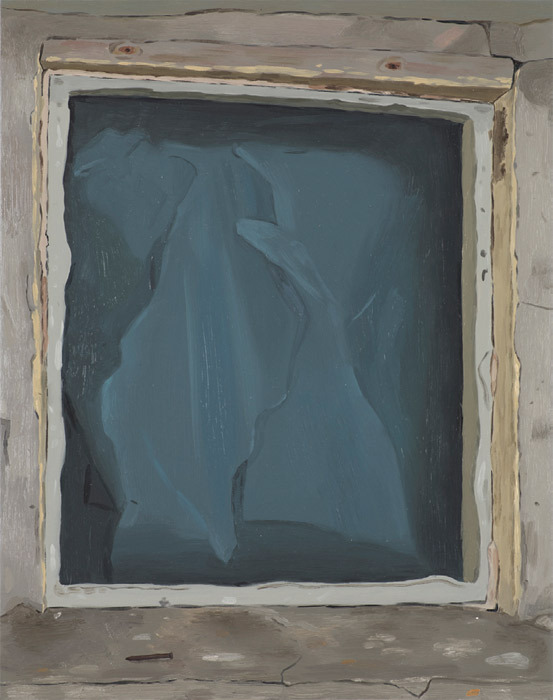 Josephine Halvorson, Tregardock, 2011, oil on linen, 19 x 15". 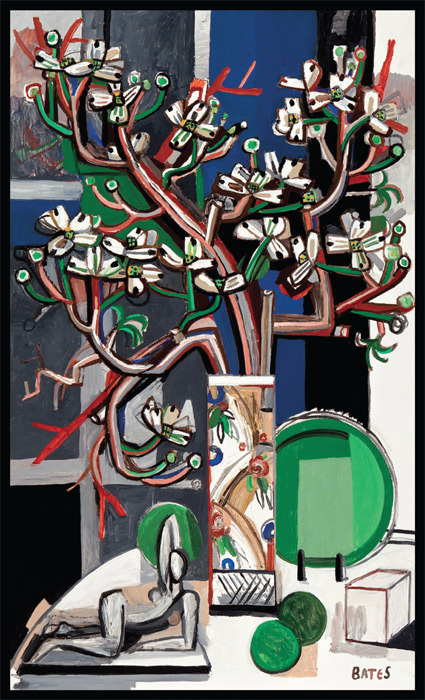 David Bates, Still Life with Dogwood IV, 2011, oil on panel, 60 x 36". 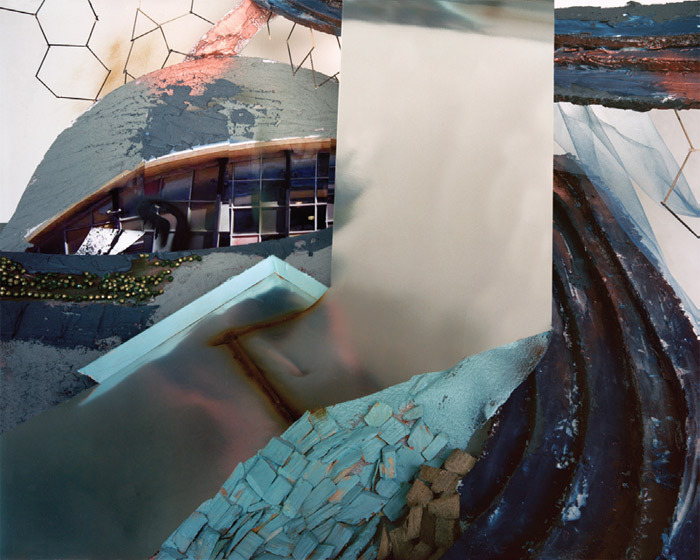 John Ashbery, Promontory, 2010, collage, digitized print, 13 x 7 3/4". Collage, by its nature a hybrid art, reveals that a whole is always composed of a series of conflicting, complementary parts. 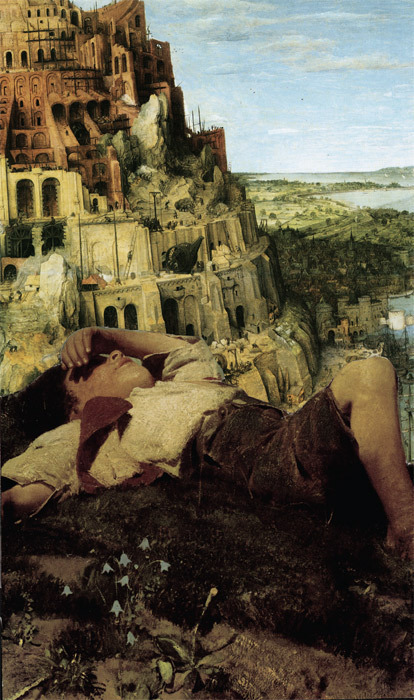 For this reason, it might come as no surprise that John Ashbery, arguably the most influential poet in America, is also a collage artist, for his poetry has always been a conflation of various discourses and modes. The experimental and the traditional have long maintained an uneasy but generative truce in his work. For instance, Ashbery might use the sestina, a form dating to the twelfth century, to relate the misadventures of Popeye. Rancourt/Yatsuk, Black Diamond, 2011. 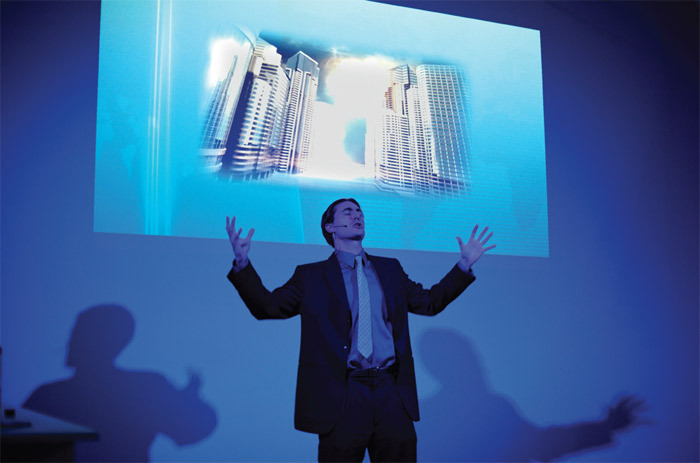 Performance view, October 27, 2011. Buddy Budansky (Justin Rancourt). 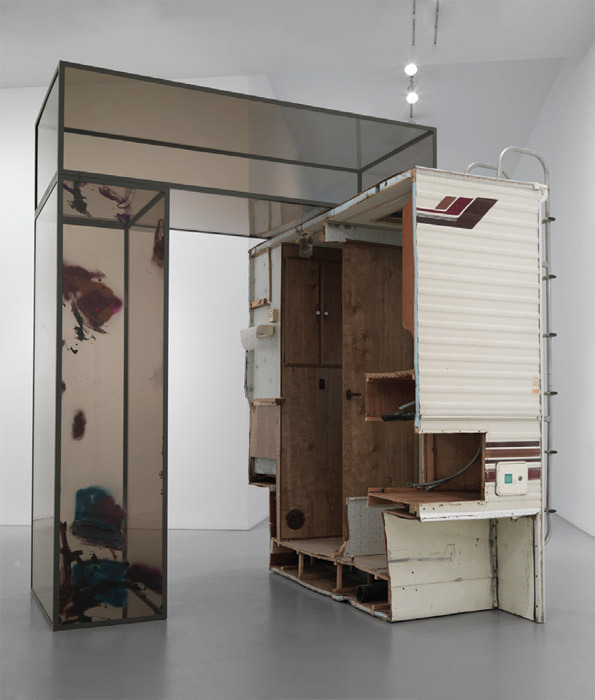 Sarah Braman, Good Morning (November), 2011, camper chunk, Plexiglas, steel, paint, 109 x 85 x 94 3/4". 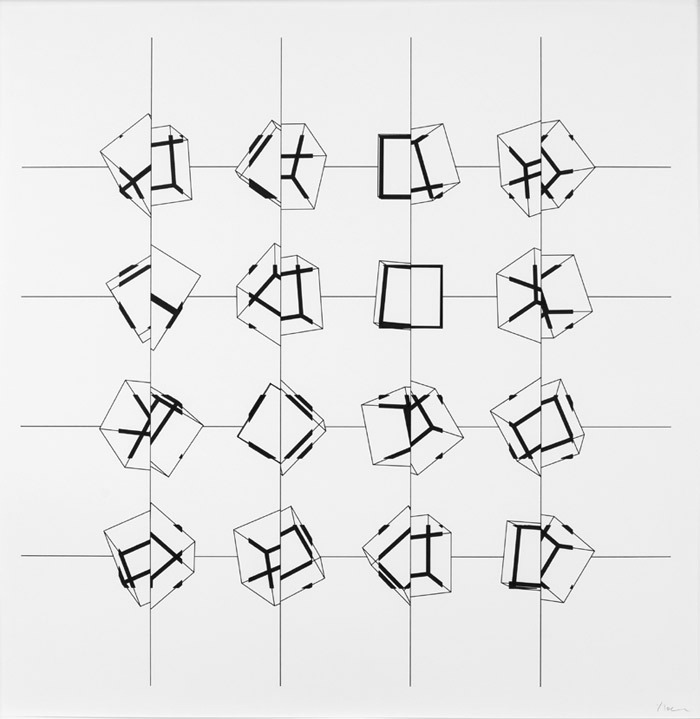 Manfred Mohr, P-197pz, 1977–87, ink on paper, 29 x 29". 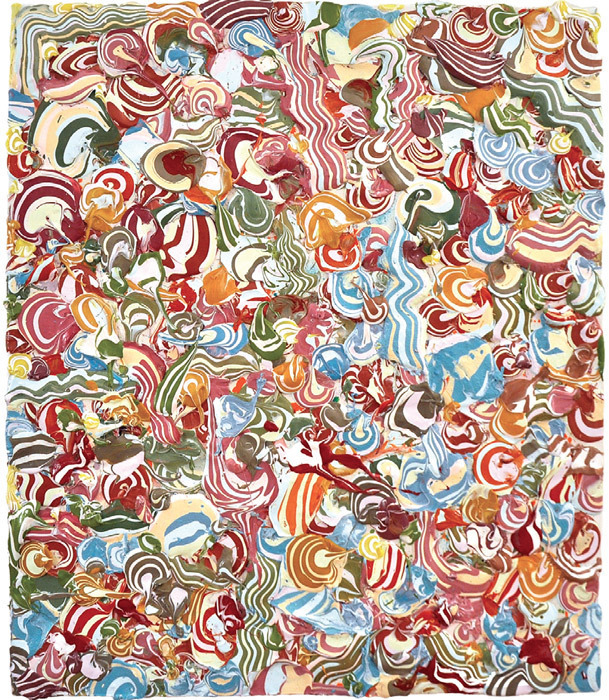 Charles Andresen, Frozen Jesters, 2011, acrylic on canvas, 44 x 38". 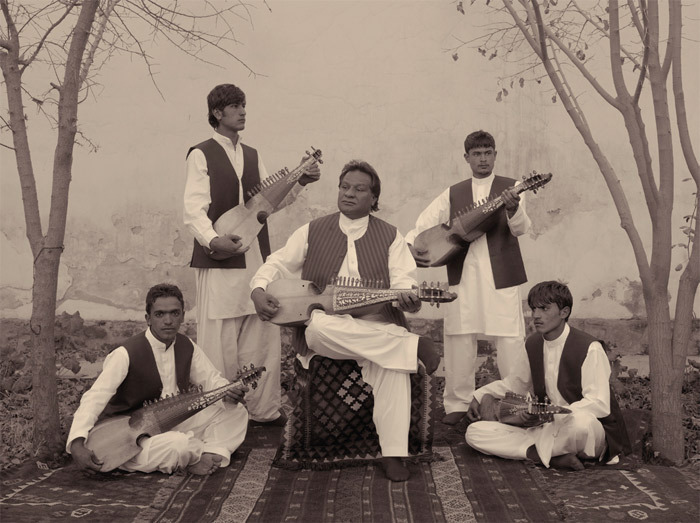 Simon Norfolk, At a Music School in Kabul, Boys Are Taught the Traditional Afghan Instrument, the Rubab, 2010, black-and-white photograph, 20 x 24". From the series “Burke + Norfolk,” 2010–11. 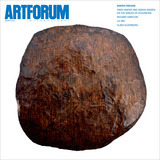 Yamini Nayar, Cascading Attica, 2011, color photograph, 40 x 50". The overwhelming experience of looking at Yamini Nayar’s photographs is that of mystification: One can look and look and still be puzzled. The photographs invite us to view them as representations of three-dimensional space, but they complicate or even do away with the tools we use, largely without realizing it, for interpreting volume: perspective, vanishing point, background, and foreground. It is difficult to describe, much less understand, what one sees.